Seriously. Why make your own Mod Podge when it is readily available ! In Chennai, until sometime back, Pidilite’s Hobby Ideas Glue ‘n’ Gloss was the only decoupage glue (that I am aware of) available in crafts stores. But recently, when my search for Glue 'n' Gloss hit a roadblock, I was given to understand they have decided to stop its production. And hence the need to make my own Mod Podge from easily available resources. After a bit of research on the net, here’s what I found. This is a quick DIY using Fevicol. I tested it on a piece of wood using news paper bits and it did work. However, be aware that this is only a cheap alternative (not in cost but in quality) to Mod Podge. The classy effect of Glue ‘n’ Gloss is blatantly missing. And to play the devil's advocate, here's a blog post on why this method is not recommended for long lasting effect. So, use your discretion. 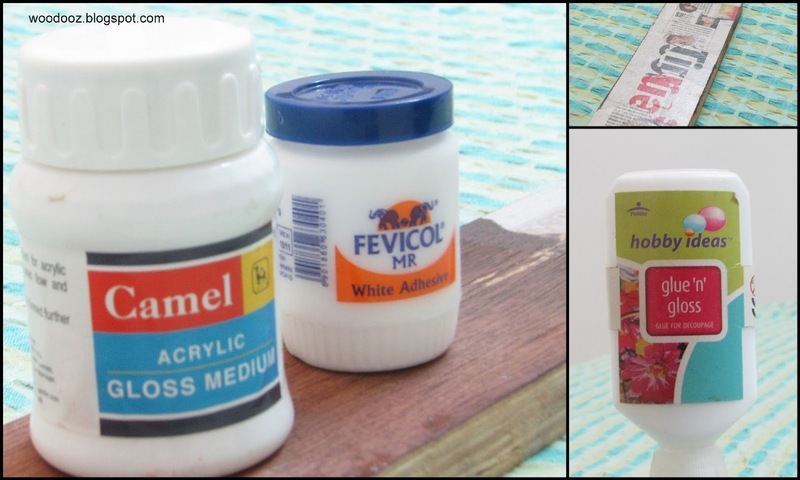 Make this DIY decoupage glue only because Mod Podge is not available in your locality. East Land Holdings Pvt. Ltd. The next time I am in Bangalore, I know where I am going to be shopping. Meanwhile, if you are in Chennai, do you know places where I can get Mod Podge. Until then I am going to try this home made Mod Podge recipe. Update : Click here for the complete list of stores in India where Mod Podge is available. 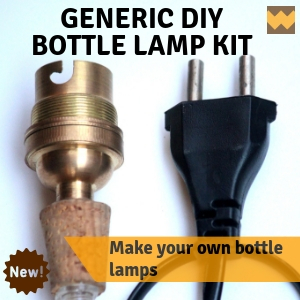 There is a good DIY online store in India. In fact, there are two. Itsybitsy.com and craftadda.com. I use both. ModgePodge is available on itsybitsy.com. Hi Vinay, i really do not know... because am not much of an online shopper :) I always prefer walking into a store and picking the stuff I need. Am sure the online stores would have tools and other essential DIY kits... but they may just not be ready to ship a single order glue pack... Again I haven't researched this, so I might be wrong. they do ship, but will charge u extra for courier charges if u do not fulfil a minimum amount. it is rs 1500/- for itsy bitsy. u cud also try craft gully which has a minimum purchase of rs 600/- for free shipping. Hi...Modgepodge is available at Anandha stationary, which is at LB road adyar. Their new shop after the adyar depot signal. Try it out friends. Hi Notyet, you are most welcome... Glad you found it useful. Mod Podge is even available in staples in Bangalore it seems but in chennai people give a blank look when I ask for Mod podge...has anyone tried Hindustan paper mart? Hi Divya, yeah I did try Hindustan traders... When I asked for Mod Podge, he gave me acrylic gloss medium... This was two years ago... Luckily the guy at Ananda stores understood and gave me Glue and Gloss... Since it is going out of production, I didn't bother to check this time around for GnG at Hindustan this time. I received an official mail from Pidilite Mumbai stating that ModPodge is not available in Chennai... Do let me know if you find it somewhere. Would really appreciate it. It's available online at itsybitsy.com. Delivery all over India. Reliable site. I've used it many times. Finally modgepodge is available! hey! 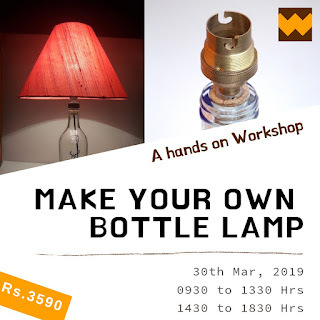 i can courier it to you from Bangalore :) drop me an email if you are interested. Incidentally my sister who is in Bangalore got me extra supply of Mod Podge when she bought some for herself. Hopefully I should get it when she comes here this Aug.
great writeup! can u also tell me what is a gel medium ? Hi, Gel medium ? Am really not sure. Can you let me know the context ? thanks for the tip! will definitely give it a try! Hi Lia, you are most welcome... Try this only if sourcing Mod Podge is impossible. Otherwise, I would not recommend it. Gel medium is used here and even I was wondering what it is... any clue? What brand of clear varnish would you use to coat a Fevicol-water mod podge project? Could you name a brand I could locate in a hardware if not stationery shop? Thanks! after tonnes of google-ing , i found ur page..
i got to d place dat u hve suggested in mumbai n they said they gonna import mopodge.. waiting lke crazy to hve one... thnx a lots.. I am spray painting my garden plastic chair & shall decoupage the seat. I want to varnish it in the end to increase durability. Could you suggest a water based varnish that can be used on spray painted back & the decoupaged seat? Clear varnish is a good option. 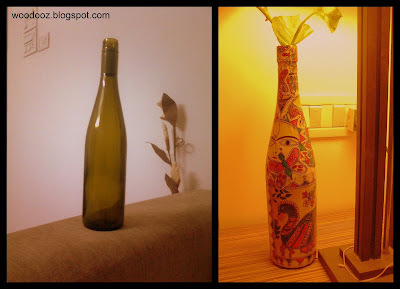 Though it is not water based it has been tried and tested on Decoupage. Water based varnishes are available, however not able to comment as I have not worked with them earlier. Does above recipe work as glue and gloss? Yeah much like glue and gloss, except that it will not give a good glossy finish. You may want to use a layer of clear varnish to protect. Try this only and only if you are not able to source Glue and Gloss (which is out of production now) or Modpodge. 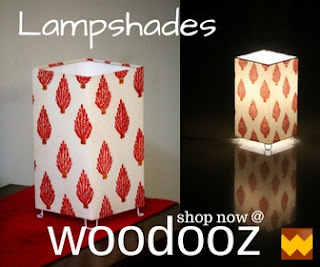 Do check out list of stores where you can get Modpodge. Your blog really interested me. I love creative work but am very lazy when it comes to actually doing them. I only gather ideas and use them to help my children in their project work. But I enjoy other peoples DIY work very much. So all the best for both of you. Hi, The original Mod Podge am not sure if it is available in B'lore. But you can find Modge Podge, an equivalent, in Bangalore. I have the list of Hobby Idea stores that sell the product. Just follow this link for the list of addresses. I have myself got it shipped from B'lore through my sister. You can also additionally check this site to get it online (I have not personally purchased from this site though). hi will this be a waterproof coat? and can u suggest me any good clear varnish? shall we use this hand made glue instead of mod podge in photo mod podging? Hi, for all the Bangalore people, the Hobby Ideas store on 100 ft road, Indiranagar stocks Mod Podge made by a company called Heritage, imported from South Africa. I haven't tried it out yet. As of now, Staples on Hosur road is out of stock of Hobby Ideas Mod Podge. is that modpodge and gloss n glue r same?? Hi Rajeev, Yeah, both are glues for decoupapging... That said, Glue n gloss is not in production anymore. Hi every one. I am a scrapbook artist from Bangalore. There is one shop in Bangalore called Itsy Bitsy, a complete art n craft store in which u will find mod podge n all the needs for decoupage. They even have a online store but I don't know if they ship to chennai. Its a awesome store for artists. If u guys r in Bangalore u must visit this store once. And thanks for the info guys. Any alternative to Matte Medium for transferring a paper image on canvas? I am a newbie into quilling ,and using Fevicol for it sometimes leaves streaks and also skin like residue . Do you suggest that I should use this mixture? I need matte finish for my quilled creations . Hi Neha, for your quilling projects, I would rather suggest that you use decoupage glue. This is a cheap concoction and may not provide the long lasting effect that you need for your projects. Use this mixture as a last resort. in Facebook search for QUILLING GLAZE by S.S Quilling . I have used for the quilling items results is excellent . Is water based varnish/lacquer available in india? If yes, anyone could tell me the product/brand name and where can i find it? Anandha stationery has modpodge-Gloss,Satin and Matt but not dimensional. This shop is in chennai Adyar. Hope it helps. Your last search with Anandha was in 2012. So u can try now. Hi I found mod podge in RS. Fancy, Adyar opposite to BSNL office. U can check it out. And can u tell me if mod podge can be used on foot wear.. I'm planning to redo one of my old favorite shoes so I just kinda confused if the glitter will stay..
Hi, I too found Mod Podge at RS fancy, Adyar, Chennai... but can i use it for tatted items l..done with cotton threads ? Plz let me know..
1. Is it water proof? 2. Do you need to only stick things using mod podge and use layers of it on top or you need something else as well? I am a new blogger. I searched various times for the accurate and reliable directory list for my blog submission.